Equipment was assembled and tested. Everything works thankfully! 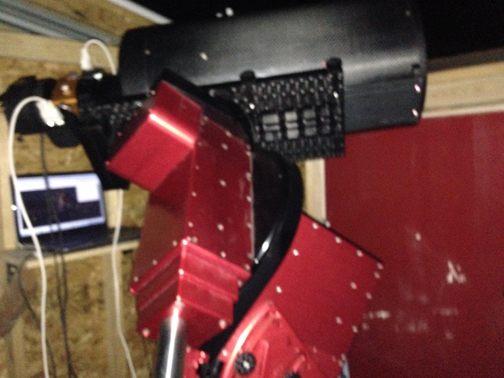 Polar alignment is a bit off so we will be adjusting that, checking collimation and acquiring another pointing model. The park position will have to be reset as the current one leaves the OTA blocking the roof. I took a test image of M20 the Trifid just to make sure the south wall did not block the southern Milky Way objects and it looks like we are good to go!